1/2" wide x 41" long, the medium band has 15-35 lbs (7-16 kg) of tension. 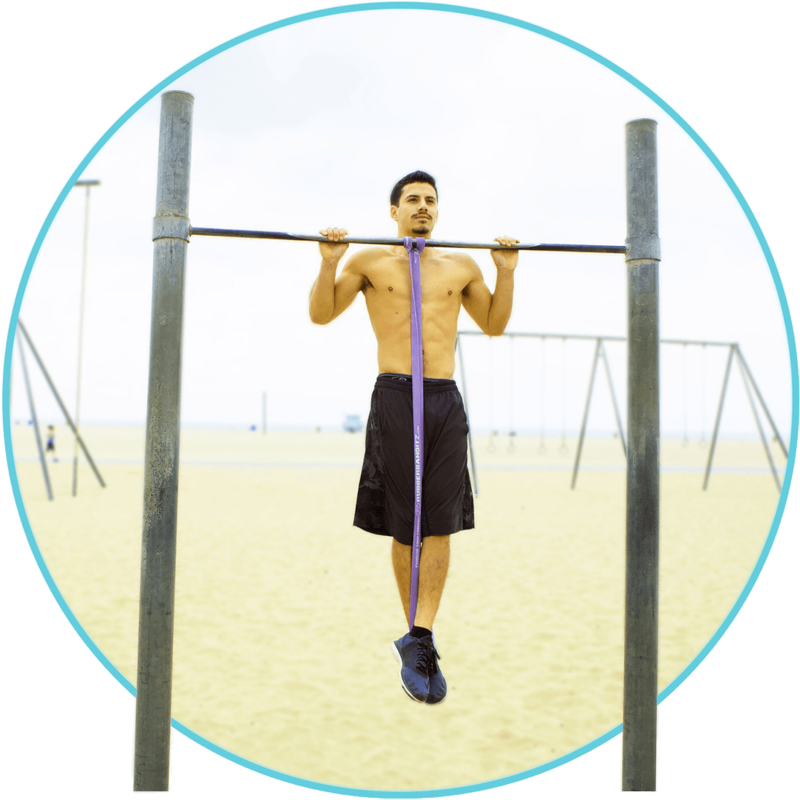 It's a versatile band used to condition and tone every muscle group on or off the pole. 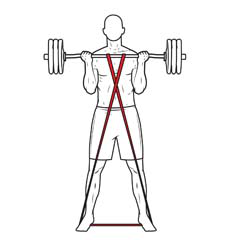 Perfect for high rep strength training and/or combining with other bands. 7/8" wide x 41" long (22mm x 1m), the heavy band offers 30-50 lbs (14-23 kg) of assistance on the pole and can be used alone or combined with other bands to customize tension. This size is also widely used for splits / straddle stretch and conditioning. 1 1/8" wide x 41" long (30mm x 1m), the robust bands gives 50-80 lbs (23-36 kg) of resistance and is a natural place to start for many polers. This is our most popular pole fitness resistance band, and not just because it's pink ; ) Also a great tool for front splits. 1.75" wide x 41" long (45mm x 1m), the power band provides 70-100 lbs (31-45 kg) of resistance. 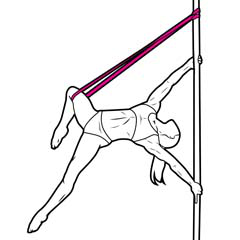 This trusty band is a great spotting tool for inverts and assisted pole exercises when worn around the thigh. Perfect for assisted pull-ups too. 2.5" wide x 41" long (64mm x 1m), the strong band provides 100-140 lbs (45-63 kg) of resistance. 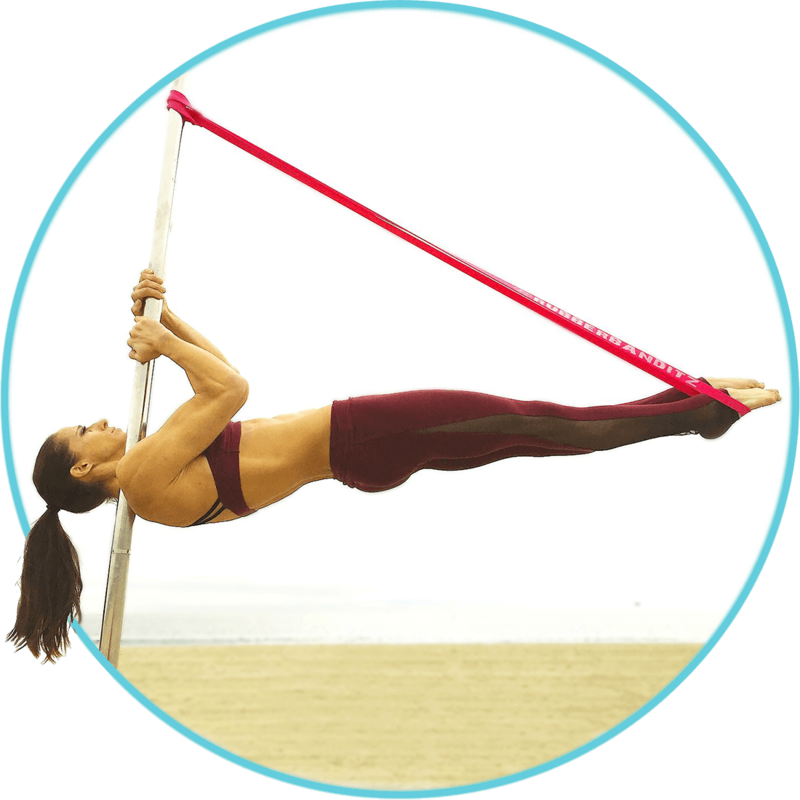 This stiff band is recommended for athletes 200 lbs+ who are new to pole fitness. Set of 3 12" (30cm) bands. Ideal for any athlete who wants a swift kick in the booty, and an effective tool to tone it. Light and portable fully-loaded lower body workout. Tones the hips, legs, and buns. Pole fitness is a dynamic sport that requires tremendous strength, stamina, stability and flexibility. Our pole dance training bands assist your natural body movements and offer a boost as you power through plateaus and progressions. 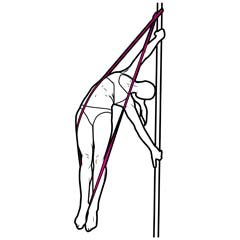 Exercise bands area perfect complement to pole fitness. They offer assistance on the pole by helping offset your bodyweight -- making tricks more attainable yet still challenging. 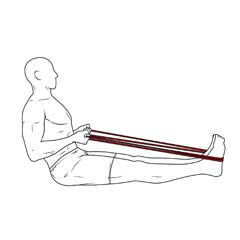 Exercise bands also offer resistance when used to deepen stretches and warm-up muscles for injury prevention. How do I use Pole Fitness Bands? Start training the aerial deadlift by progressing from the floor with less jump into your handspring, and also by going to a sit on the pole. The aerial deadlift will begin with sitting on the pole and then pushing and pulling with your arms while kicking and lifting the legs up and over your head in the air to end in an aerial Ayesha pose. There are many ways to get into a brass monkey: from a shoulder mount, kicking up from the floor, doing a press/up from a climb, swinging the legs into it from a brass monkey cast, doing a layback/cross ankle or knee release and various other grip entries. For this exercise, the explanation will be utilizing a “hip lift” press-up version of the trick that takes time to develop the strength for that the band will assist with. The handspring has progressive exercises to work on to build strength for the actual handspring. You can start by working on pushing and pulling and kicking into the air until you feel you are floating, and progress towards going completely upside down into an Ayesha position. Inverts are essential in pole fitness. Inverts are about technique and building proper muscle to assist you in your lift. Focus on inverting by pulling down and lifting your legs up first, and then extending your arms and tilting back. 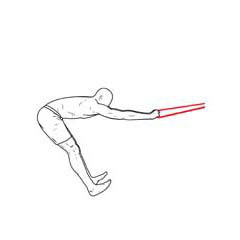 Work towards straight legs and fight through microbends by using RubberBanditz while practicing. The Iron X is a strength trick that can be achieved starting with an aerial Ayesha handspring position. In order to achieve the Iron X understanding, proper muscles and body mechanics is key. 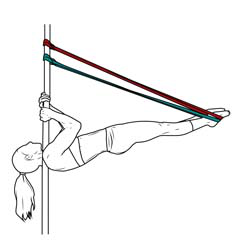 Shoulder mounts are one of the most basic ways to invert on the pole and enter tricks. It is also a strength building move on its own. 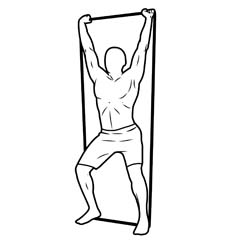 To do a shoulder mount one must start by developing the muscles necessary to push and pull and lift into the air. There are multiple ways to do the splits using resistance bands. The bands can be used to warm up leg the by putting the band around your foot while you lay on the ground and making circles in the air with your leg using the band to warm up your hip. The tabletop (also known as toothbrush) is a strength trick that requires a lot of core engagement. This trick utilizes your arms, abdominals, glutes, and legs. 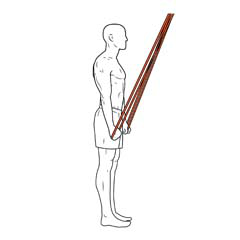 You can start progressing by initially bending the inside leg to touch on the pole as well as using high resistance bands. 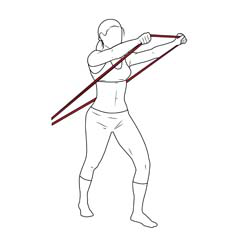 We offer a blend of resistance bands to assist with any pole exercises and any level of strength training. 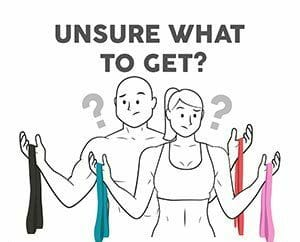 Whether you’re a seasoned poler looking for a little boost or a newbie just starting out, these kits make it easy for you to mix and match exercise bands together for a full-body workout. All 3 bands can be used alone or combined for a wide range of assistance. Great conditioning tool for strengthening upper and lower body. The studio owner or pole enthusiast wanting the full range of customizable resistance levels. The full stack training accelerator. 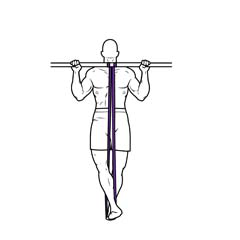 The light band builds shoulder mobility and triceps | Power band enhances spotting, pullups, and inverts. Customize the resistance needed for each pole exercise. Bust through plateaus and accelerate progressions by training with the right selection of pole stretch bands. As you fatigue, you’ll need more band assistance, and as you get stronger you’ll need less. "As a pole studio owner, I've found Rubberbanditz bands useful for spotting and for helping beginners feel more confident on the pole. " "My students love using the pink band for almost every pole exercise we do in class. I've figured out a way to use them in every class we offer now. I can honestly say these are the best resistance bands I’ve ever seen." "I'm an avid pole dancer and aerial artist. One thing that is challenging for me has been figuring out ways to workout when I travel. 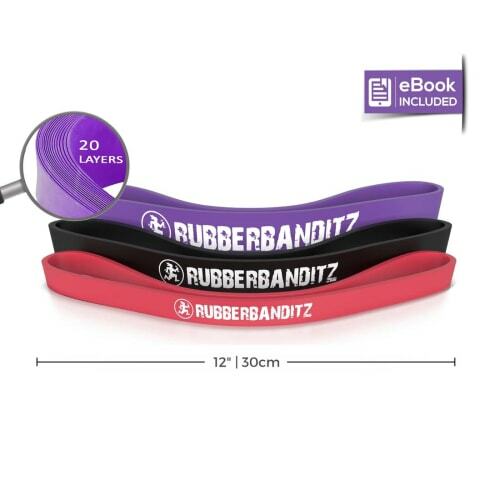 Fortunately, I found RubberBanditz pole bands and use them to workout both in the studio and in my hotel room. " "The first time I saw pole fitness bands on the Rubberbanditz Instagram I thought it was kinda silly. But after the second, third, and fourth time I finally decided to buy resistance bands, and I'm so glad I did. They’ve made poling so much more fun!"